If you have an Android™, iPhone™ iPad™, iPod Touch™ or Kindle Fire™ we have apps available for free to help you stay connected on-the go. The WVXU Public Radio app allows you to listen to WVXU live, pause and rewind live audio and view the program schedule for all of the Cincinnati Public Radio streams at once! 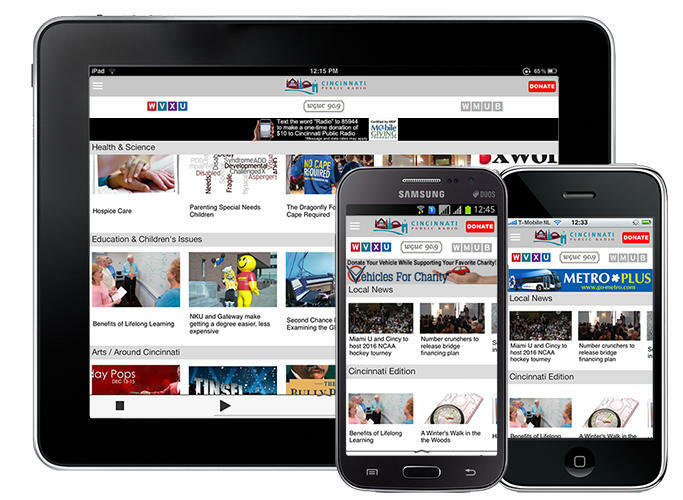 You can explore on-demand content, check out the latest WVXU news, search for stories, "bookmark" a story for later and wake up to WVXU with the alarm clock.